It isn’t uncommon today to hear Christians pray aloud for God to send a revival. However they don’t always do it right. It is important for the Christian to be informed by scripture in order to pray the right way. Jesus said, “If ye abide in me, and my words abide in you, ye shall ask what ye will, and it shall be done unto you” (John 15). We must have God’s words abiding in our minds in order to pray intelligently. We must get the facts from the Bible so that we can know what God is like, how He thinks about things, and what He wants to do in answer to our prayers. But many public prayers for revival are grossly disconnected from the truth of the Bible. They are not only disturbing to people who know better, but also misleading to those who are motivated to pray for revival. Some say, “Lord, revive America,” but what does this prayer mean? Is it really scriptural to ask the Lord to revive our nation? God has had a covenant with only one nation of men in the history of the world, and that is Israel, not the United States. In what Biblical sense would we expect the Lord to revive America? Especially at gatherings on the annual Day of Prayer, I have heard people pray for “the moral re-birth of our country.” This is indeed a perplexing prayer. First of all, a re-birth is by definition a miracle. “How can a man be born when he is old? Can he enter the second time into his mother’s womb and be born?” The question of Nicodemus, recorded in John 3, is reasonable, and points to the physical impossibility of a re-birth except by miraculous power. Moreover, we have no basis for asking God to perform a miracle unless the scriptures indicate that He is willing to do it. There is nothing in the Bible about the moral re-birth of a nation. What do we mean by that anyway—a return to the morals and family-life of the 1950s? The fact is that the only re-birth that has ever happened is the spiritual re-birth of an individual soul, as described in John 3. We can pray for that, but we have no reason to believe that God will respond to prayers for the moral re-birth of our country. There is a great need for men and women to pray for revival today, but ours must be informed prayers. The promise in II Chronicles 7:14, a great revival verse, contains four principles that will make our prayers scriptural and effective. 1. Revival always has to do with God’s people. God said, “If my people, which are called by name, shall humble themselves and pray,…then will I hear…” This is a timeless principle that has always applied to revival praying, and always will. God revives His people. Revival is something the Lord will do for His own. This was true when He gave the promise of II Chronicles 7:14, and it is true today. However, there are differences between an Old Testament revival and a New Testament revival that we must understand. Of course, the Second Book of Chronicles is in the part of the Bible we call the Old Testament. The term, “Old Testament,” refers to the covenant God made with the nation Israel especially applicable in the centuries before the first coming of Christ. “Old Testament” means “Old Covenant.” Believers in Christ today do not live under the stipulations or provisions of the Old Covenant, but rather enjoy the better promises and provisions of the New Covenant. Although revival is essentially the same in all dispensations, the results of a revival have differed according to the applicable covenant. Revival always had to do with God’s people, which were the Israelites under the Old Covenant, and believers in Christ under the New Covenant. As we have noted, God’s people under the Old Covenant were the nation of Israel. The stipulations and promises in that covenant are reviewed in Deuteronomy 27-30. If the people would obey the special laws and statutes and ordinances they were given by the Lord through Moses, He would bless them with wealth, health, victory in battle, growing families, and many other physical blessings. Should they refuse to comply with these laws or turn away from the Lord to other gods, they would lose those blessings and experience chastisement through specific curses. When the blessings disappeared, and the curses came, Israel was in need of revival. If they would repent and get back to obeying the Law of Moses, the blessings would come back. See in these chapters how an Old Testament revival worked. We can see, by reading the context, that the healing of the land spoken of in II Chronicles 7:14 was to be an agricultural healing. It would be deliverance from drought, locusts, and pestilence, according to the promises of Deuteronomy. This was because the promise was for an Old Testament revival. It was not the political, moral, economic or even spiritual healing of a Gentile nation like the United States. The New Covenant under which we now live as Christians is expounded in Hebrews 8, 9, and 10. It was promised in Jeremiah 31 and Ezekiel 36 as the covenant that God will have with Israel when they repent in the latter days and are converted to Christ. The Lord Jesus taught that we believers live under that covenant now (Matthew 26), and the night before He died on the cross, He explained the practical applications of this covenant that would be experienced in the New Testament age. This teaching is found in John 13 through 17, and five blessings are highlighted there: remarkable answers to prayers offered in Jesus’ name (14:12-14, 16:23-24); the obvious help of the Holy Spirit in living out the Christian life (14:15-26); supernatural peace, love, and joy in the lives of those abiding in Christ (14:27, 15:9-12); the bearing of much fruit, spiritual reproduction (15:1-8); as well as persecution (15:18-16:4). All five of these will be experienced by Christians as long as they live at the level of submission and faith where the Lord can give them (called abiding in Him). When we fail to live at that level, and fail to experience these blessings, it is because we are in need of a New Testament revival. It would be right to say that the people of God in general are in need of such a revival right now. But we would be talking about God’s family, and not about a particular human nation. When we pray for revival, we are praying for God’s people to be revived, and not for our country to be revived. Such a revival is urged in James 4:1-10, and is much needed in our day. If the churches in America were really revived and brought back to New Testament Christianity in its purity and power, our society and culture and even our politics would be greatly affected. However, it would be a revival of the Christians and not a revival of the country. And this is revival for which we should be praying. The Old Testament revival described in II Chronicles 7:14 would begin with God’s people humbling themselves. So would the New Testament revival of James 4:1-10. In verses one through five, the problem plaguing the churches is identified as worldliness (“friendship of the world”). In verses six through ten, the cure is identified as the grace of God. The grace of God for revival is accessed by humility. Under both the Old and the New Covenants, the people of God must humble themselves in order to be revived. Notice the revival promises of James 4:8-10. When God’s people humble themselves under the New Covenant, and “draw nigh” to Him by confessing their sins for cleansing and surrendering their hearts for purification, God has said that He will “draw nigh” to them with the New Covenant blessings of John 13-17! 3. We must seek God’s face. Many scriptures call for God’s people to seek His face and find Him, when they have strayed from the path of His will. See this in Deuteronomy 4:29, I Chronicles 28:9, Psalm 27:8, Proverbs 8:17, and Amos 5:4, in the Old Testament. Find the same message in James 4:1-10, in the New Testament. When His people deliberately and earnestly seek the face of the Lord, He will be found of them. And seeking God always involves turning from our wicked ways, because He is holy. Seeking God’s face means seeking His favor and blessing. It speaks of people looking for God, aware of His absence among them, desiring to have Him and His blessings back! The words in James 4 about weeping and mourning indicate that Christians who want revival must be serious and passionate about seeking His face. To pray for revival calls for us to seek His face and turn from our sins. 4. We can expect God to respond to prayer for revival! Every promise of revival contains the assurance that God will answer the prayer for revival. In II Chronicles 7:14, God says that “If my people…” will do what He requires, “…then will I hear from heaven, and will forgive their sin,…” and revive them again with the restoration of covenant blessings. “If my people,…then will I.” It’s like “Turn ye unto me, saith the Lord of hosts, and I will turn unto you,” in Zechariah 1, and like “Return unto me, and I will return unto you,” in Malachi 3. It’s the same as what we read in James 4, “Draw nigh to God, and he will draw nigh to you.” Revival promises are conditional promises. They do not just predict something God will do in the future as a sovereign act; they promise what God will do if we will turn back to Him. Conditional promises present God as predictable. 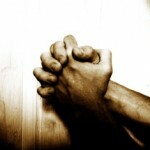 He has said that He will respond to our prayers and repentance. We can count on Him to do what He said He would do when we do what He has called on us to do. 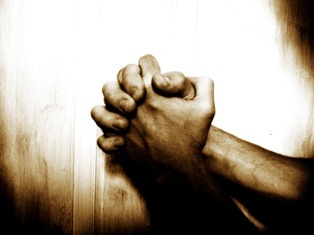 Revival praying is praying in the will of God, and will predictably get what it seeks. Remember that I John 5 tells us we can have “confidence” in the fact that “if we ask any thing according to his will, he heareth us: and if we know that he hear us, whatsoever we ask, we know that we have the petitions that we desired of him.” And the reviving of the people of God is clearly according to God’s revealed will. He will revive the members of His family if they will repent and look to Him to do it. This is the power of revival praying.